Year after year there is a decline in album sales as people switch over into the digital market and streaming. Music is more accessible than ever; artists like Chance the Rapper have set the trend of releasing music anytime, without necessarily attaching tracks to an album. This past year could be considered a great year for music as so many phenomenal songs were released, making it hard to create a list of my ten favorites. When choosing the 10 best albums from 2018, I looked for music that I continuously listened to, music that was unique from previous albums, and music with emotion. Looking through my music I created a list of albums that I’ve sworn by this year and that have taken over my playlist. The Weeknd first gained popularity from his early music on the album “Trilogy.” He was known for his brooding tone and giving r&b music an alternative spin. He later switched to a more pop r&b style with his star-studded album “Starboy” in 2016. 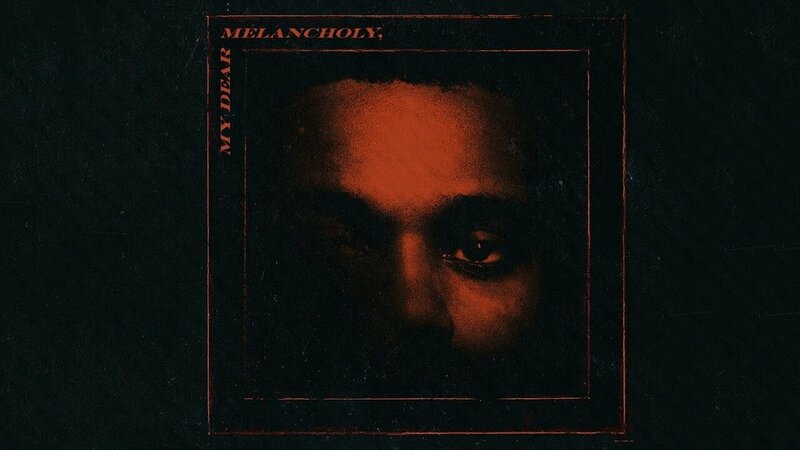 This year, Abel Tesfaye unexpectedly released “My Dear Melancholy,” an album with many similarities to his brooding trilogy roots. It gained popularity with memes about how sad people claimed to be after listening and of the connections between the albums content and Abel’s public break up with actress Selena Gomez. This album was a great body of work that pulled on the emotions of its listeners. Its deeply personal lyrics allowed listeners to connect with The Weeknd and relate to the similar feelings and situations he explains throughout the album. 6lack (pronounced “black”) is an artist whose music has fallen under the alternative/r&b umbrella similar to “My Dear Melancholy’s” artist The Weeknd. His minimalist beats, calming vocals, and urban subjects have brought him widespread attention, but over previous years 6lack has not received much attention for his music. The release of “East Atlanta Love Letter” has thrown 6lack into mainstream media with the song “Pretty Little Fears,” featuring J. Cole and “East Atlanta Love Letter,” featuring rapper Future. It has been an album I have enjoyed and can listen to over and over again. J. Cole has faced criticism for years from people that felt his music was too focused on portraying a deeper message or story. However, his ability to tell a story or teach a lesson is what I love most about his music. “KOD” is Cole’s third album to go platinum without any features. This is an accomplishment many current artists have not achieved, particularly becasue many artists gain popularity based solely on their features. The album talks about the popularization of drug abuse in mainstream rap today and addresses the disconnect between what is considered rap music today and what he believes rap music is. I have enjoyed this album not only for its stance on music today, but regardless of whether you listen for the beat or lyrics, it is ear-catching and rhythmic. 2018 was a bad year for Ariana Grande but she turned it around with an impassioned, love-focused album. She dealt with constant scrutiny from the world based on decisions in her personal life, but she took that criticism and negativity and used it to propel herself and her career. Sweetener features 15 songs, including the singles “God is a Woman,” “Breathin’,” and “No Tears Left to Cry.” These were all songs that I keep close when I needed to feel empowered. The album has songs that can put you in your feelings and can get you hyped. Cardi has been overlooked for years and not many people take her seriously as a rapper. Coming from a reality TV show, she did not have much respect from people in the music industry and was popularized through social media and memes. Once she released “Bodak Yellow,” it became impossible to turn on the radio without hearing it and many people believed she would just be a one-hit wonder. Then, Cardi released “Invasion of Privacy,” which featured numerous chart-topping songs including her hit “Bodak Yellow” that proved she was here to stay. The entirety of the album is catchy and memorable. In the album, she shows off her vocal diversity with both singing and rapping. She also has a mixture between hip-hop and Latin music on the album. Lennon Stella is an upcoming artist who first gained popularity from the ABC show “Nashville.” She has previously recorded singles alongside her younger sister Maisy for the show's soundtrack. Since the cancelation of that show, she has been signed by Columbia Records and released her EP, “Love, Me.” This EP features five songs that she wrote about her personal experiences in relationships. The entirety of ‘Love, me’ is relatable and fresh. Travis Scott’s “Astroworld” is a great album to just have fun to. Its fast pace rhythm and abrupt beat changes are clever and uncommon in today’s mainstream music. 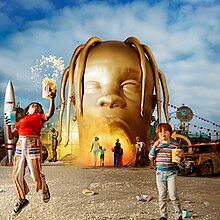 For a rap project, the album flows amazingly; Travis Scott created a cohesive body of work rather than 17 disconnected singles. The construction of this album and the marketing behind it was undeniably dynamic and clever. Drake has consistently released chart-topping music and his fifth studio album is no different. The “Scorpion” album has 25 songs and two sides. It features some of the biggest songs of the year, including “Nice for What” and “God’s Plan.” His intention of creating a two-sided album separated the project between more lyrically-focused songs and more pop-influenced songs. The reason I only list Side A is because in comparison, Side B is not as interesting to listen to. While Side B features “In My Feelings,” its repetitive nature caused it to become overplayed quickly and made it annoying to hear. Side A is lyrically stronger and seems more personal to Drake than music made just to be heard on the radio. On Side A, Drake addresses and responses to a rumor created during a previous dispute with rapper Pusha T. As you listen to the songs on Side A you can uncover layered meanings and clever language, and for that only reason Side A of Scorpion deserves the number eight spot on this list. Not to be corny, but “ladies and gents, this is the soundtrack you’ve waited for.” Normally, I’m not particularly drawn to movie soundtracks or musicals in general, but this one captured my attention. The film itself has a star-studded cast including Hugh Jackman, Zendaya, and Zac Efron. Each song accompanied the movie’s development, but each of the songs are strong individually. I loved that the casting was not only focused around known actors but also included a diverse group of people, allowing them to grow their platforms. It has been months since the film was released but I still frequently listen to music from the soundtrack. Meek Mill has not always been in mainstream media; he began as a battle rapper in Philadelphia and from there has gained large popularity for his unique lyrical flow. 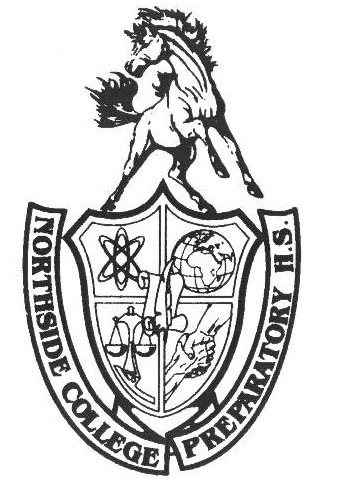 His most popular song is “Dreams and Nightmares” from the album of the same name. The intro of this song has become a statement that many people love and rap along to. Some believed he could not create anything greater than that intro, but I think he has with this latest album. The entire album tells a story highlighting the issues he has dealt with over the year. This includes his public battle with the law. It also includes features from some artists that elevated the songs to make them the best they could be.